Guitar Hangar isn’t just guitars. We carry a huge variety of instruments and accessories. Acoustic and electric guitar, bass, amps, effects pedals, ukulele, mandolin, banjo, slide guitar, and more! We buy and consign used gear, so we never really know what’s about to walk in the door. To see the latest gear, check out the New Arrivals section on the homepage of guitarhangar.com or come on down to our Brookfield, CT location at 270 Federal Road. 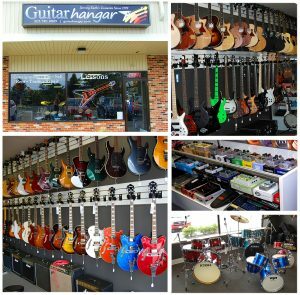 Guitar Hangar isn’t like those other big-box corporate music stores. Since 1999, Guitar Hangar has been providing rare, vintage, and custom instruments to clients all over the world. Rick, and the rest of the Guitar Hangar crew are never too busy to answer your questions, solve your problems, or hunt down the perfect piece of gear just for you. Simply put, we want to give you the right gear, for the right price, on time, every time. Guitar Hangar started in a small outbuilding in Rick’s backyard. Armed with a website, a Rolodex, and a pile of amazing guitars, Rick built a small army of dedicated customers who wanted a more intimate guitar buying experience. 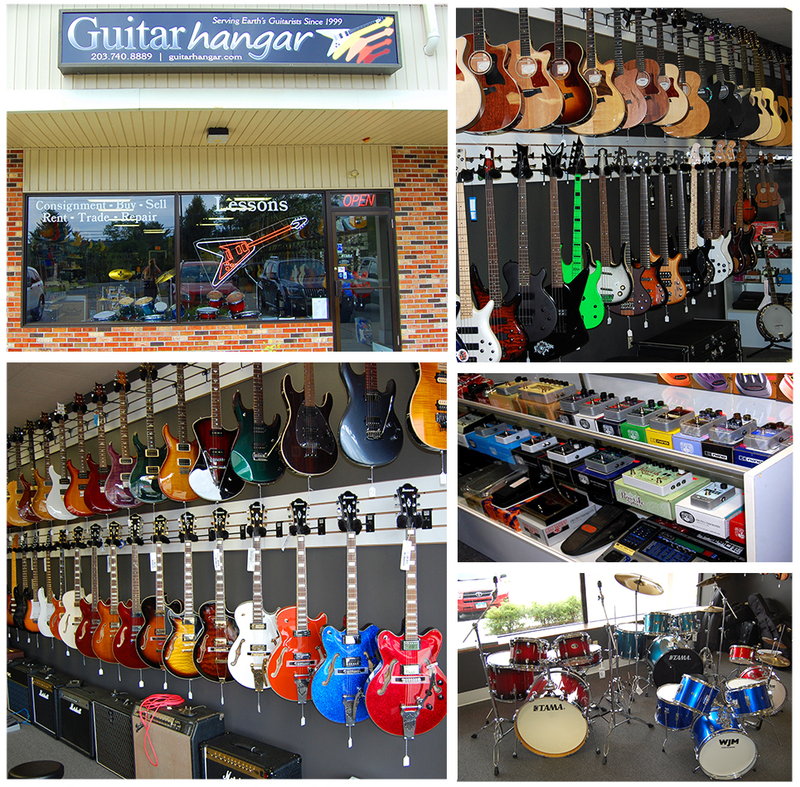 In 2014, after 15 years of doing business in the backyard, Rick opened the doors of Guitar Hangar’s Federal Road location in Brookfield. We’re excited to have a new location, an expanded selection of affordable instruments and accessories, and a ton of new services like lessons, school band instrument rental, PA system rental, and instrument repair. Like us on facebook for news, special deals, and upcoming events!